Bitcoin and other cryptocurrencies have managed to capture the imagination of millions around the world, when in 2017, they started to offer impressive and often unbelievable returns on even the smallest of investments. While the naysayers believe that the craze would fizzle out soon, many fintech and banking experts believe that at least the underlying concept of distributed ledger or blockchain is here to stay for a long time. Notwithstanding the misgivings expressed by top bankers such as Lloyd Blankfein, CEO of Goldman Sachs, in the past about cryptocurrency transactions and his belief that these could be engineered for fraudulent transactions and money laundering, the truth is that ICOs and blockchain technology can offer the four most important things the banking industry and the business world need right now – speed, efficiency, security, and cost savings. So, what are the ways in which banks around the world and allied industries could benefit the most from Blockchain? The following section offers you a lowdown on the same. 1. Increased efficiency in remittance: Cross-border money remittance has always been an area of concern for banks and customers alike. The reason is that intercountry remittances can often take between 2 to 5 business days and prove to be extremely costly because of the involvement of a number of intermediaries, each of which maintain a separate ledger. By using blockchain, which virtually maintains a decentralised and distributed ledger that is immutable, the need for multiple stakeholders to reconcile transactions, has been eliminated almost completely. Also, not a single transaction can be updated on the ledger without the knowledge and consent of all parties involved. Experiments conducted on cross-country payment by some of the top technology companies in the field have shown that the entire duration of the process can be brought down from 5 business days to a few seconds. Blockchain technology can also protect itself against cyberattacks because every single part of the ledger is time-stamped which makes moving onto the next block and making alterations to the ledger almost impossible. Hence, money can be remitted at a lower cost, with greater certainty and security, and with less time. 2. Clearing and settlement: One of the biggest areas of concerns for banks and businesses is the time lag between banking transactions and their final settlement. Due to involvement of multiple clearing agents and the need to reconcile transactions, the sender and receiver banks can’t clear or settle transactions on a real-time basis. This is also true for securities trading where the settlement of a trade may take more than a day. With blockchain, banks can transfer money and share information almost instantaneously. This will reduce time and increase efficiency and accuracy of the processes. This is because data reconciliation is a built-in feature of blockchain transactions and banks and clearing agents won’t have to separately expend time and resources for it. Accenture has predicted that the use of blockchain for settlement purposes could help banks save up to US$10 billion annually. 3. Loan disbursal and verification: Loan disbursal by banks is usually an extremely complicated and laborious process. Verification of customer information, especially their credit score, isn’t easy. Moreover, being reliant on just one credit rating agency increases chances of material error in credit reports. Since banks are almost fully reliant on these reports for assessing the eligibility of a client, even a minor error can be costly. With blockchain and shared data, maintaining credit reports on the blockchain may prove to be extremely viable. The vetting process may become much easier and less expensive. There may be a scope for growth in syndicated loans, too. Multiple lenders can easily share information. Also, every single lender in the syndicate would have the knowledge of transactions generated by others. No lender can take individual decisions, reducing chances of conflict and default. 4. Trade financing: Tracking cross-border trade and financing is extremely tricky. R3, a global leader in blockchain technology, has taken upon itself the onus of modernising trade finance and solving many of the bottlenecks that exist. With this technology, paperwork for movement of freight, shipping and associated banking activities can be sped up and recorded in a structured manner. Also, cross-border trade means that too much paperwork and logistical challenges slow down payments. Many traders and sellers, who sell their goods on credit, are forced to cut down on their capital expenditure and operational expenses since their dues are not often released quickly enough. Using blockchain as a basis, R3 has developed an application that can process letters of credit at sight quickly. This means that traders can claim their payments within a few days of initiating an action. The app will simply assess if the trader has fulfilled the obligations mentioned in the letter/agreement of credit and trigger the process for payment almost on a real-time basis. Payment and receiving banks will also stay looped in. Another major advantage of this technology is that it offers the users the ability to track invoices on a real-time basis. It can help trade partners avoid invoice duplication that often lead to calculation mistakes and cost escalations. 5. Issue of letter of guarantee: When an expensive sale happens, the seller may ask the buyer to produce a letter of guarantee. These letters are issued by banks and are in effect a contract where the bank promises to pay for the product or service sold, in case the buyer defaults. This is a very profitable business portfolio for most banks. However, lack of transparency and high processing time are often issues that bother lenders as well as customers, and slows down the speed of transactions considerably. With blockchain, the entire process will become paperless and the flow of information between the parties involved will become smoother. Being on the blockchain would also mean that every single update or transaction can be tracked by all parties concerned, improving the level of transparency and efficiency. It is also expected to improve cost efficiency. 6. Compliance with standardised banking protocols set by central banks and other regulatory bodies: With the use of this technology, banks and other financial institutions can track the updates on regulatory protocols and stay apprised of the changes recommended or introduced by central banks and regulatory bodies. Through this single platform, regulatory agencies can issue real-time notifications and seek real-time feedback from the stakeholders. A Shot in the Arm for Fundraising? Raising capital from the market or from venture capitalists can often take a lot of time and effort. Apart from getting the venture capital funds on board, borrowers also need to involve accountancy firms, banks, and other professional agencies to complete the process. It requires close coordination and negotiation at every step and a single bottleneck can throw the entire process off track. But, raising funds through blockchain is completely decentralised and liquid. Any business that needs money can issue tokens/coins in exchange for cryptocurrencies and get financed. The value of the tokens would be determined by the value of the currencies in the future. It can improve the speed of borrowing and offer a much bigger market that companies can turn to. 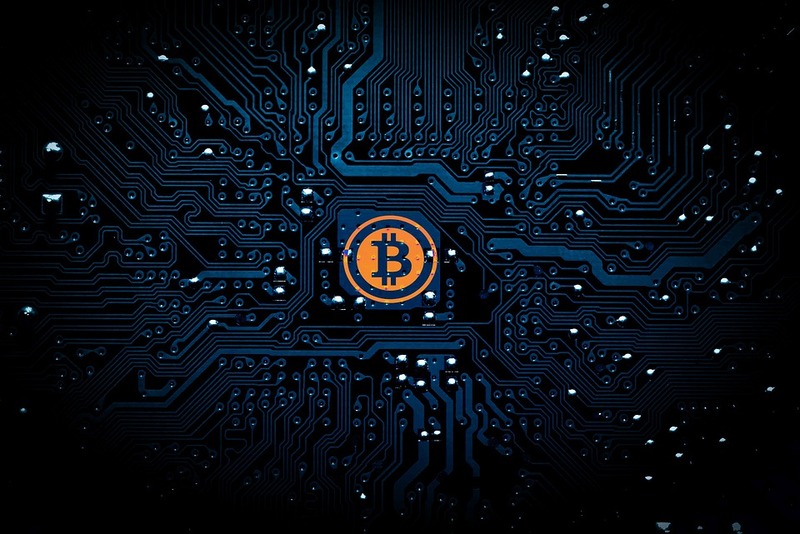 The future of blockchain looks stable at the moment and if the blockchain experiments and projects currently underway meet the test objectives, one can soon expect blockchain to find more real-world applications.